So you think you know about Karl Marx? A review of ‘Marx at the Margins’, Kevin B Anderson. To date, no comprehensive intellectual biography has been published in any language. Kevin Anderson. Every new class consciousness generation is forced by contemporary events to return to the philosophy of Karl Marx, not in a mood of revival but to learn something important that has become forgotten or carelessly overlooked by previous students. In the past the known side of Karl Marx was represented by the Communist Manifesto, a handful of works by Engels and the first volume of an unfinished study of the capitalist-bourgeois model of the good society, Capital volume 1. The later volumes of Capital economic studies were inaccessible to most readers because they followed a difficult logic and even Engels, the life long friend and editor of at least three of the economic volumes, is frequently accused by contemporary devotees of seriously misunderstanding the logic of value as expounded across its many pages. In fact the leading lights of the ‘intellectual academy’ seem to have reached a sort of consensus that Engels got the economic critique wrong in his introductions and prefaces of the numerous editions, though it has not yet reached a consensus as to the linking arguments of the exposition, the relationship – to give one central example – of the tendency for the average rate of profit to fall to the sudden outbreak of an economic crisis, which is still hotly disputed. Marx had frequent disputes with other communists in his own lifetime and they were certainly able to understand him, maybe because the fundamentals of political existence then were stated in common speech in contrast to the specialised language of later social science. Marx in fact is famous less for his critique of classical economic science than for his preparation of the communist manifesto in 1848, one of the most accomplished of common language documents ever recorded and distributed. The manifesto was composed as a blend of just rhetoric and historical knowledge, and espoused in the name of a living revolutionary movement, the Communist League. The act of rendering the dialectical thought of Karl Marx into fluent and accessible pamphlets and journalism is not without a certain risk of vulgar distortion. Even sections of books approved by Karl Marx himself, like the ‘Anti Duhring’ of Engels, to this day provoke criticism from some ‘Marxists’. One reason we may well surmise why Karl Marx kept his partnership with Engels strong for so long was that he felt a need for an intellectual accomplice who could speak to the workers about political economy in a less convoluted style than he thought he could do. Marx always maintained that an attack on bourgeois economics as first expressed by Engels was not only his first introduction to the subject matter but a life-long inspiration. With the benefit of historical hindsight Marx and Engels may have even ‘over-succeeded’ with their exoteric publications like the Communist Manifesto and the Ani-Duhring because these publications became by the turn of the century the core of what became known as ‘Second International Marxism’. They published the first version of the great manifesto in February 1848 and then went on to publish several revised versions. The manifesto was the declaration of a hard fought battle of ideas within the Communist League, an early example of a revolutionary united front, so the ideas expressed in the first edition can’t be ascribed without some reservation to Karl Marx alone. Marx and Engels wrote several prefaces to the later editions that seem to edge closer to something like a genuine historical Marxism. In the 1872 German edition they say that in view of the gigantic strides taken by modern industry in the preceding twenty-five years, and in view of the political experience gained through workers participation in the Paris Commune of 1870/71, the communist programme of the first edition has in some respect become antiquated. In point of fact friendly critics of the manifesto like Leon Trotsky and Ernest Mandel point out some serious flaws even in the revised versions from the perspective of a later Marxism. Trotsky says that in showing how capitalism draws along in its wake the backward and barbaric countries the manifesto does not say anything about the struggle of the colonial and semi- colonial peoples for their independence. He also says that the most obsolete part of the manifesto is Marx’s criticism of the socialist literature prevalent at that time. Ernest Mandel says that the manifesto established the unfortunate myth of the driving down of workers wages to a subsistence level, the iron law of wages, as one of the main tenets of orthodox Marxist thought, something he in fact refuted in his scientific account. What we learn from this worry over the communist manifesto is that we must be conscious of shifts and developments in the thought of Karl Marx. We must not even assume that the later books, essays and pamphlets are always an improvement on the earlier ones. After all we all decline with age. Marx is unusual in that he has often suffered greater distortion in the hands of his supporters than from his intellectual enemies although these have often stood on common ground. To give just one example, both past friends and enemies typically selected out points 5, 6 and 7 of the Communist Manifesto as the only guide to what Marx argued for by way of an alternative to capitalist arrangements. Point 5 states that communists are in favour of the centralisation of all credit in the hands of the State by means of a national bank with an exclusive monopoly. Point 6 states that communists are in favour of a monopoly of the means of communication and transport in the hands of the State and point 7 calls for an extension of factories and instruments of production owned by the State. Nowadays we would call this a programme for state organised capitalism. It is to the credit of the author of this book about the thought of Karl Marx that he scrupulously tries to avoid a stereotyping of Marx by not resorting to the usual interpretative device of selecting just a handful of well known ‘key passages’ from the better known publications and then referring to this selection as definitive of Marxism . The chief virtue of the book is that it presents to the contemporary militant a serious reading of essays, documents and letters by Karl Marx that are not well known or are seldom thought to be worthy of comparison to the key passages approach. The good thing is that we are offered a more ‘historical’ account than we are usually given. We might legitimately call this a dialectical account of the development of the mind of Marx. Anderson’s method is to split the collected works into a kind of core and a periphery and show how the works of the periphery if studied carefully offer us a more concrete understanding of the abstract core. 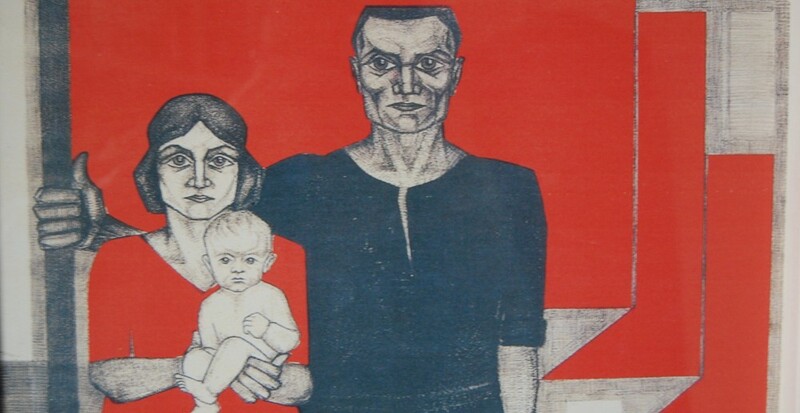 The core for Anderson consists not so much of a privileged statement or single book but of the concepts of social capital and the exploitation of labour, the theory of alienation and fetishism and finally the notion of dialectics. These ideas are the core because they appear as a seam that is more or less present in all of the primary works. Anderson does not make an assessment of Marx’s intellectual development on the basis of a definite epistemological break between a young, humanist Marx and a mature, scientific Marx like the French professor Louis Althusser tried to do. Anderson is one of those historians participating in the publication of MEGA2 which began in Moscow and Berlin in 1975, came to a standstill in 1989 with the implosion of the Soviet regimes, and was taken up again mainly by Western funded institutes. What we now have before us is a much expanded version of the works of Marx and Engels than was previously available. It is hard to think of another modern thinker with so small a ratio of published writings during their own lifetime to those actually written. Works now considered central to the canon such as the 1844 manuscripts, the German Ideology, the Grundrisse and the Theories of Surplus Value were largely unknown to the “orthodox Marxists” of 1905. For the purpose of this review it is useful to be reminded of what new material is included in the complete works, for Anderson makes use of some of them in his study. Section One: early works, articles and drafts. Of thirty two volumes now planned, seventeen have appeared. Especially notable is the inclusion of a rougher but larger version of the influential 1844 manuscripts. Marx appears to be writing two versions at the same time. Section Two: Capital and Preliminary Studies. Consisting in 15 volumes, of which as of 2010, 13 have been published. What has been included are all the editions of volume one of Capital. Important here is a print of Engels’s 1890 German edition, but with an important addition from a French edition prepared by Marx himself in 1872-1875 with an extra 60 pages not included in the English translation of the standard German edition. This, it turns out, was the edition most favoured by Marx though not by Engels. Anderson presents some extracts of letters concerning their difference of opinion over what version of Capital volume 1 should be prioritised. Other volumes offer draft manuscripts for what became Volumes 2 and 3 of Capital, which can now be studied to see how Engels edited and arranged them. Of 35 volumes planned, 12 volumes covering the years up to 1865 have been published. In the previous complete works most letters from Marx to people other than Engels were usually omitted. Of 32 volumes planned, eleven have so far been published. Here we have many drafts and notes never published before in any language. These include notebooks from 1844-1847 on political economists such as Jean -Baptiste Say, Jean-Charles Sismondi, Charles Babbage, Andrew Ure and Nassau Senior. Excerpt notebooks from Marx slated for publication include (1) notes from 1853 and 1880 on Indonesia, (2) notes from 1852 on the history of women and gender relations, (3) notes on the history of agriculture in Russia plus some on prairie farming in the United States, (4) substantial notes on Ireland from the 1860s, (5) notes on agriculture in Roman times, and finally (6) a massive chronology of world history composed during the 1880s. Kevin Anderson situates his presentation of the development of Marx close to a mode of interpretation associated with the books of Raya Dunayevskaya (his own book is dedicated to her) whose most notable books are Marxism and Freedom (1958,) Philosophy and Revolution: from Hegel to Sartre, and from Marx to Mao (1973) and Rosa Luxemburg, Women’s Liberation and Marx’s Philosophy of Revolution (1981). In her own work Dunayevskaya turned to the unpublished ‘Ethnographic’ notebooks of Marx to argue against the thesis that the old Marx(the last ten years) was an unproductive thinker, pointing to some of the different conclusions Marx reached in contrast to Engels in the study of the role of women and class in early societies. This she believed was important owing to the undisputed spell Engel’s ‘Origin of the Family, Private Property and the State’ held over all later communists. 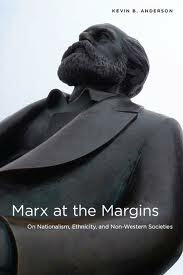 It was taken on trust that Marx had no thoughts of his own relevant to what was later to be called women’s liberation. Some of the less well know documents that Anderson mines concern the political journalism, especially those relating to race and class in the United States, the national struggles in Ireland and Poland, and others covering the colonial expansion in India, China and Java. He then relates some of this material to editions of Capital especially the generally ignored French edition, the one Marx himself preferred. He also takes us on an excursion through Marx’s late studies of pre-capitalist societies with particular reference to Russia and India and asks what his reasoning was in spending so much time on them, all the while jeopardising the completion of Volumes 2 and 3 of Capital. In the next post we will look at some of what Anderson reveals about these writings, including those on Ireland. This entry was posted in Book Review, Frederick Engels, Karl Marx, Marxism and tagged Book Review, Karl Marx, Marxism by irishmarxism. Bookmark the permalink.